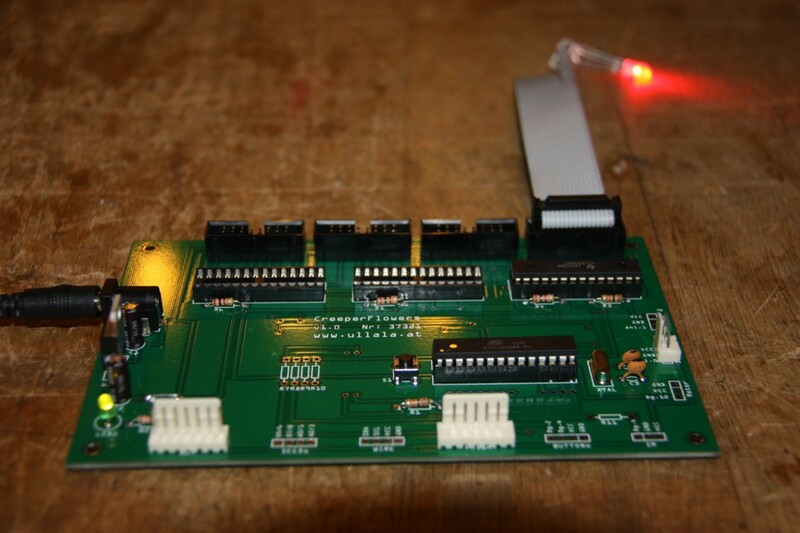 parts soldered, test succesful – Wohooo! Wohooo! 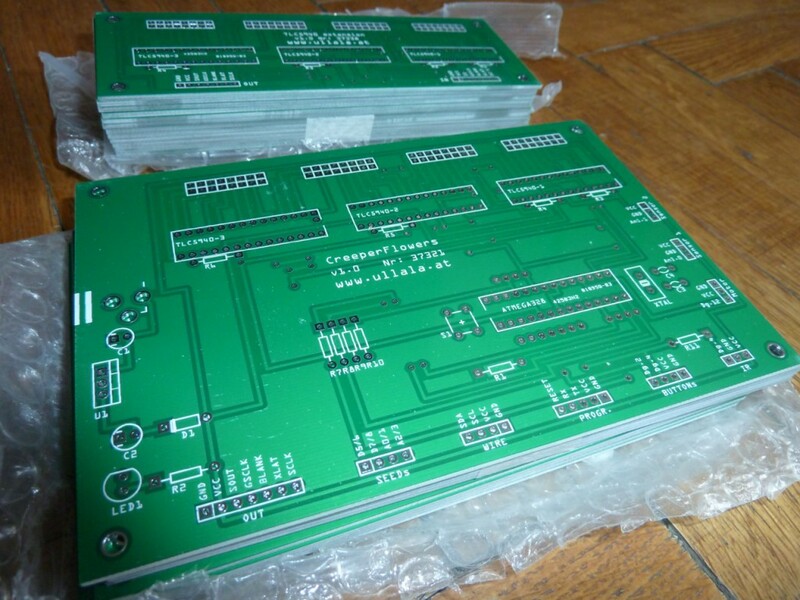 I’ve created my first PCB’s! The story: The main goal is a new flower, a modification of the Seedtree, one that could bloom in each ones livingroom. 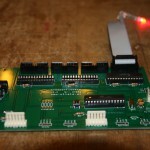 For such a goal I had to stop doing all the soldering on a blank plate – I need professional PCBs. 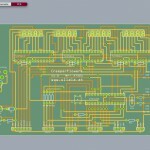 I’ve done the layout with Fritzing. Although the software is a little bit buggy, for me the layout work was increadible fascinating. Then I sent the exported files to Seeed Studio (China). 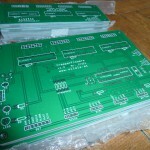 They produced the PCBs for a real good price. Two weeks later the postman stood in front of my door and had the final boards in his hands. 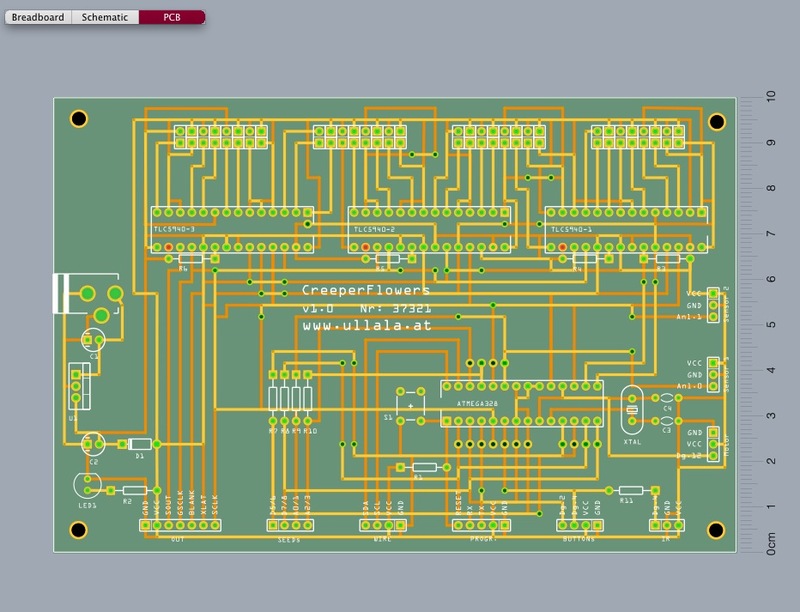 Now I’ve soldered the basic parts (I’ve desined the board to be able adding a lot of features later), placed the Atmega processor, communicated with it successfully, placed the first LED-driver, and see the first LED lightning. Everything worked without problems. Wohooo! This entry was posted in documentation, electronic. Bookmark the permalink.